Rainy season is here once again and this is the time when I am always alerted with the surroundings because mosquitoes and other insects are feasting. I always make sure that Railey is protected any time, any day. So I always change sheets often, keep on cleaning and cleaning and always on the guard with what to spray and what repellent to use among others. But I'm no superwoman. There are still those pesky insects that always escape my eyes. When that happens, I always noticed that baby keeps on scratching more often than before. 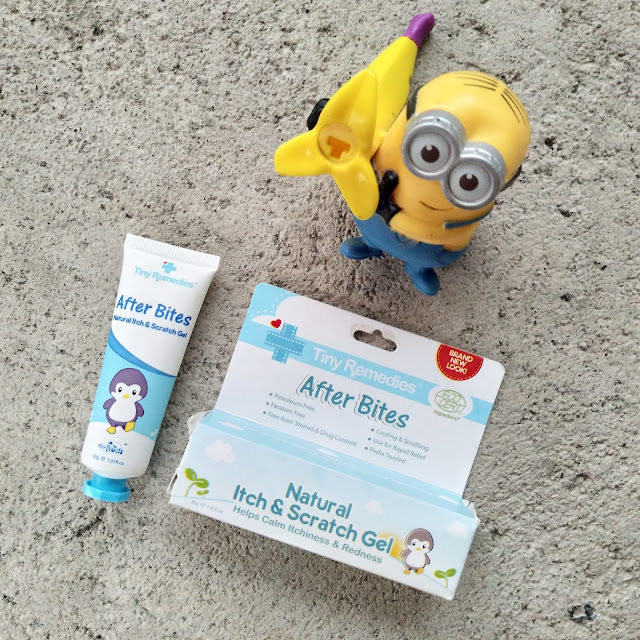 So to lessen the pain of scratching and to calm the itchiness in his skin, I always use This Tiny Buds After Bites Natural Itch and Scratch Gel. The packaging was super cute! Actually, baby always like playing with it whenever he sees it. The light blue color and the kawaii penguin was very pleasing to the eyes. I bought this using a coupon from the brand and it didn't disappoint. Definitely a repurchase on my list!!! The consistency is a gel-like texture which is very light. I used it myself and I can attest that it's really mild that it won't sit heavy on the skin. Plus factor because baby didn't noticed that I put it on his scratch. He has the tendency that if I put lotion or other stuff that feels a little heavy on the skin, he will rub it off. It really does what it claims! It calms down the itchiness. It even worked on my own itchy skin Same with baby. There's no sticky feeling of some sort. I noticed that after applying it on the area where he's scratching, he would stopped and would focus on different things instead. Seriously. It's just like magic. 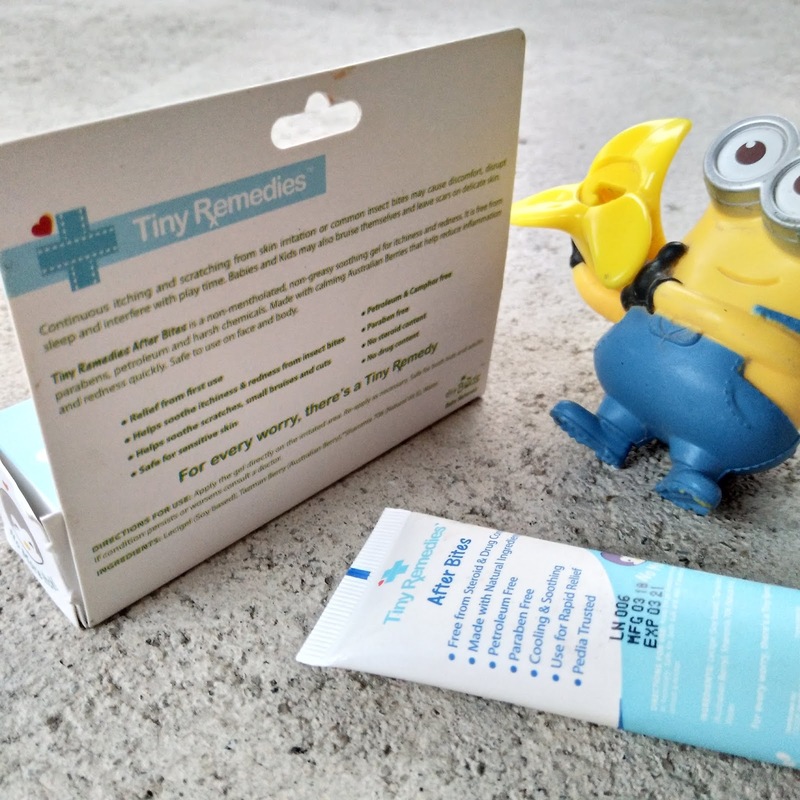 Our whole experience with this product is definitely something that we really want to share with our readers. It might help you in case you have the same case like what we had. I really swear by this and would definitely put this as a staple product for baby and the family. Though I claim this to be super effective for us, it might not work for some. Remember, YMMV (your mileage may vary). What might work for us, might not work for you and vice-versa.